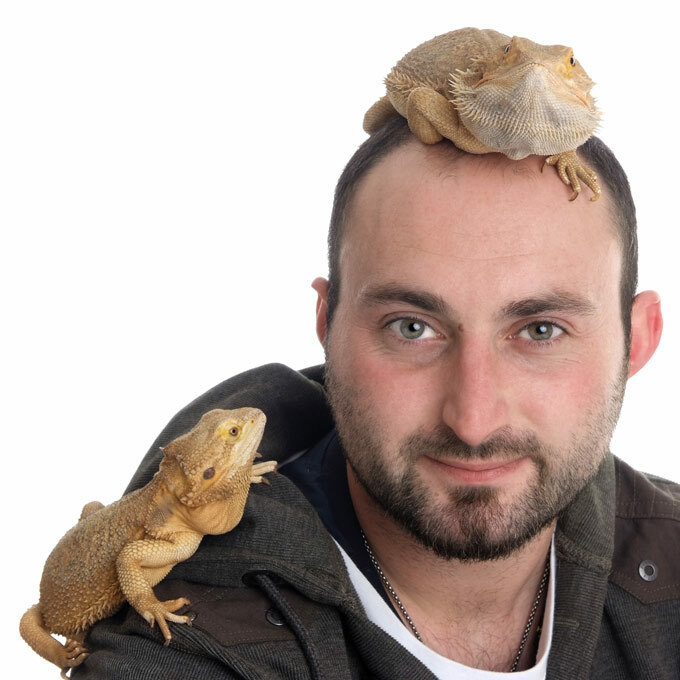 We ended up with one of the most facinating portraits I have ever taken of Carl with his wonderful Bearded Dragons “Lucy” and “Dave” We also love the one with Carl in Black and white and “Lucy the Bearded Dragon on his shoulder. 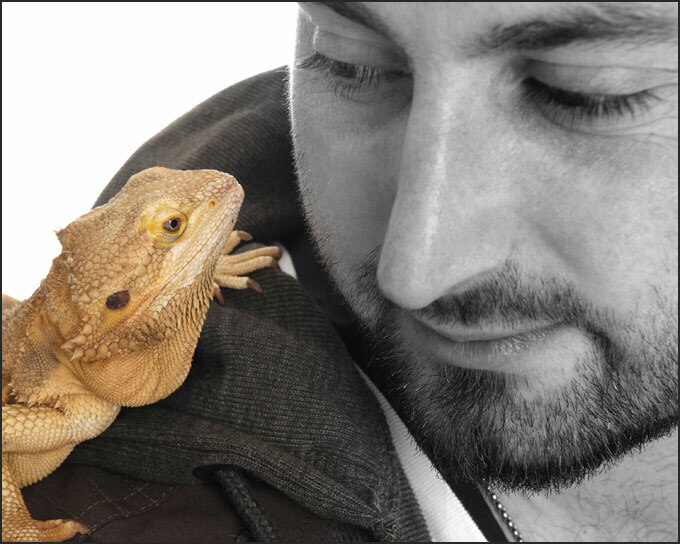 Carl with his Bearded Dragons " Mustard & Luphy "
Here’s another we really liked Carl with Mustrad The Bearded Dragon making eye to eye contact! 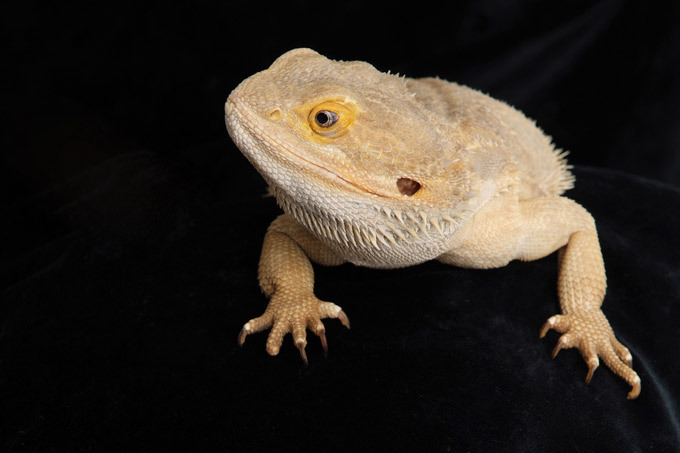 Now meet "Mustard the Bearded Dragon"
So if you have Bearded Dragons or anyother sort of ” Non Dangerous ” reptiles you would like to have photographed with you – You know who to call. 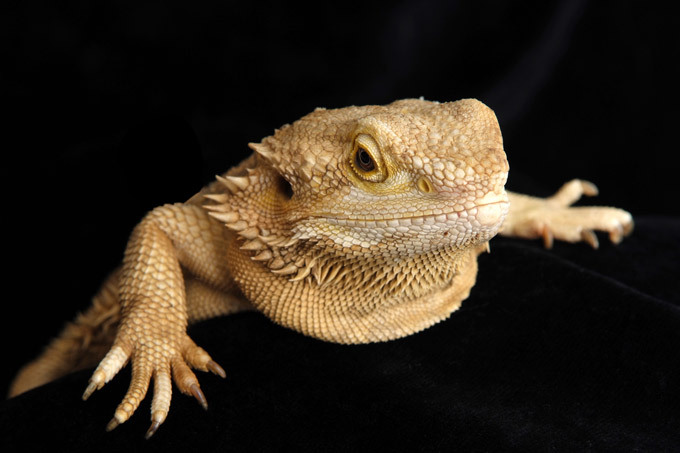 Lastly We just had to show you this lovely picture of Carls Partner Stephanie with her lovely dog “Tipsey” Thanks to both of you for a very enjoyable Bearded Dragon Portraits photographic shoot. 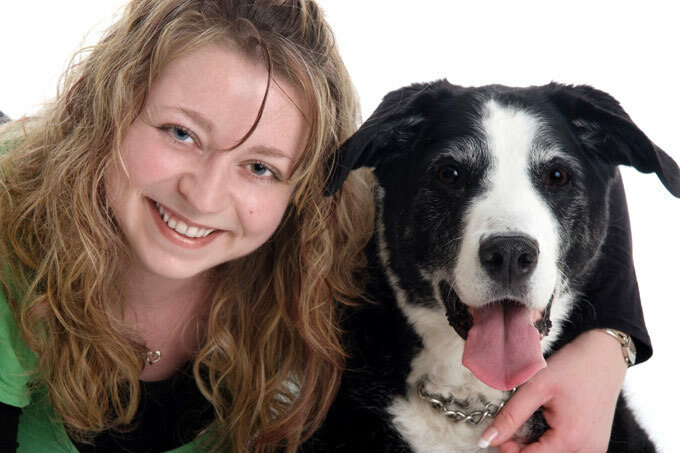 Stephanie & Tipsey having a cuddle!